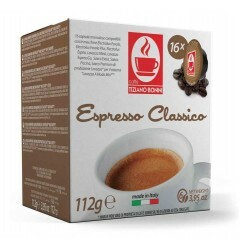 Capsules compatibles Lavazza ® A Modo MioThere are 13 products. 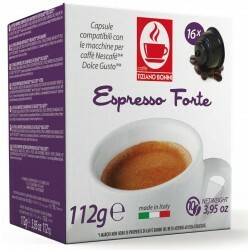 Lavazza A Modo Mio ® O'Vésuvio Compatible Capsules by Caffè Bonini. 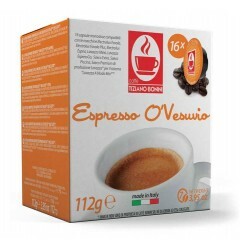 Prepare a full-bodied coffee with gourmet mousse with OVésuvio capsules. 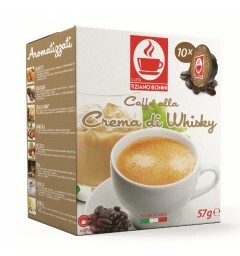 And delight your drink worthy of an Italian espresso. 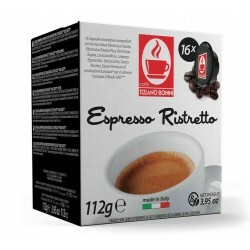 16 Capsules Ristretto compatible for Lavazza A Modo Mio ® machines from Caffè Bonini.The slow roasting used for the production of these Ristretto capsules ensures this coffee a persistent intensity and an incomparable length in the mouth. 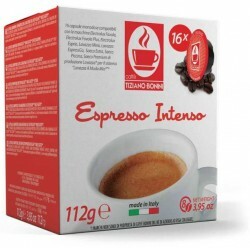 16 Coffee capsules compatible Intenso Lavazza A Modo Mio ® brand Caffè Bonini.A blend of Robusta for grilled notes and powerful Arabica for a perfectly balanced, intense cup. 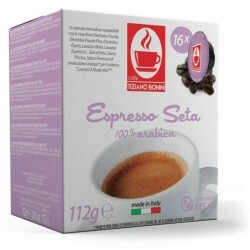 16 Seta coffee capsules compatible Lavazza A Modo Mio ® brand Caffè Bonini.Pure Arabica Seta capsules are perfect for a coffee break. Olfactory notes of almonds, a light cream with sweet taste pleasantly cocoa. 16 Corposo coffee capsules compatible with Lavazza A Modo Mio ® machines.Caffè Bonini offers a coffee with an intense body and a persistent flavor. Its light foam comes to sublimate this espresso.